This week just got a bit brighter. 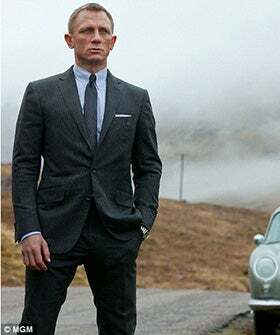 It has been announced the next James Bond film is only three years away from hitting a cinema multiplex near you. Okay, it's not the most earth-shattering news ever, but it has been a particularly gray and bleak week, weather-wise, and this bit of 007 trivia is like a ray of sunshine bursting through the clouds.